We have more pieces in more places. That means we give you Complete Coverage when we wrap your snowmobile or sled. And not only are our snowmobile graphics some of the most complete sled wraps you can find on the market, we can customize your wrap to fit your needs. 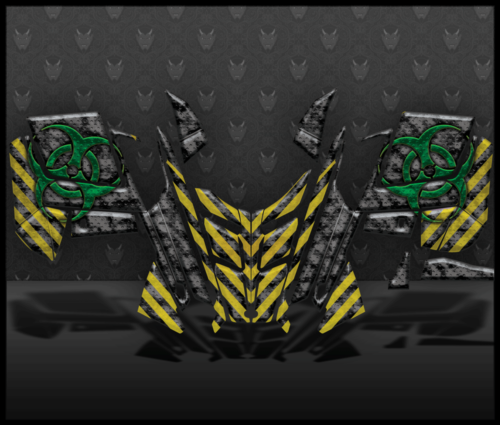 Does the design work for you but you want a different color? Done! 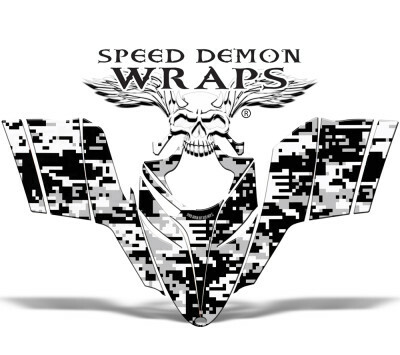 Do you need your business logo fit in there somewhere? Done! Whatever you need, we can do it! 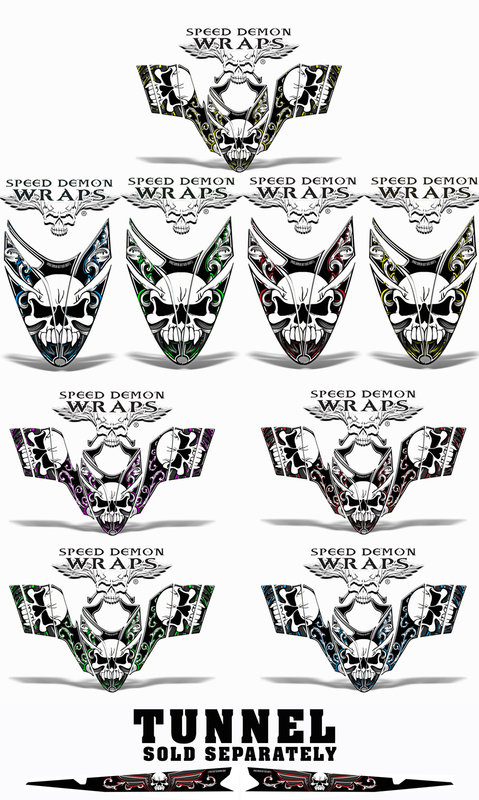 Precision Sled Wraps – Our graphics are not a one-size-fits-all… each style is designed to fit your individual vehicle. 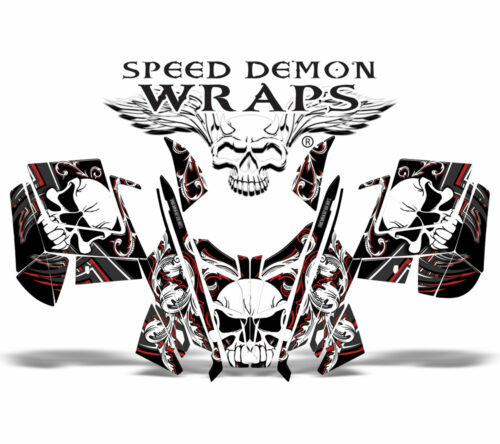 High Resolution Polaris Snowmobile Wraps – All of our sled wrap graphics are designed at high dpi so you get very intense graphics! The kind of graphics that will cause people’s heads to twist, eyes to pop, and will blow the skin off their skull!! 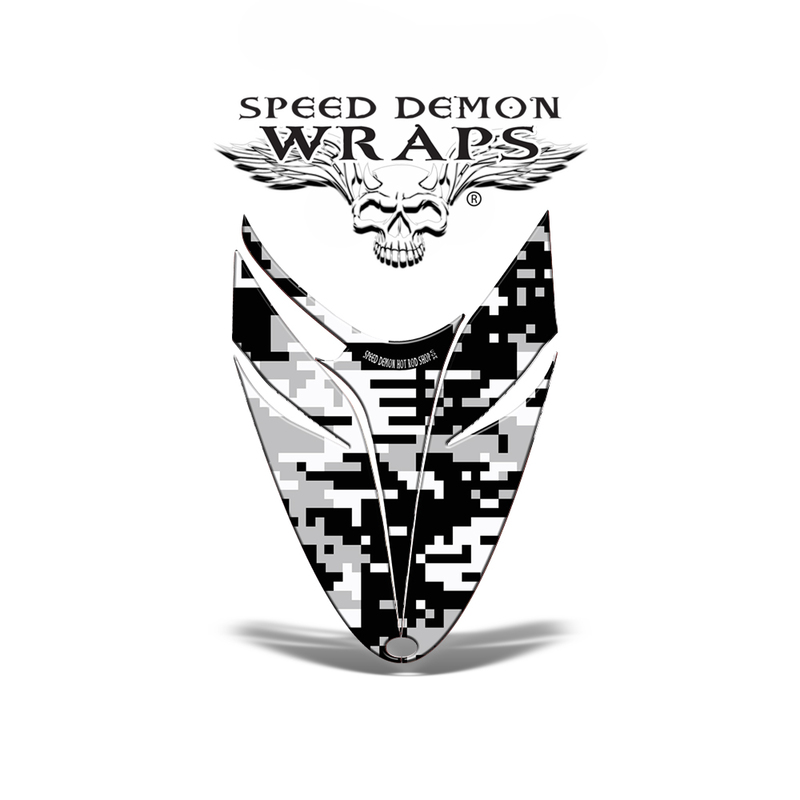 Not only do we focus on higher quality graphics, but higher quality wraps! Better vinyl! Better adhesive! 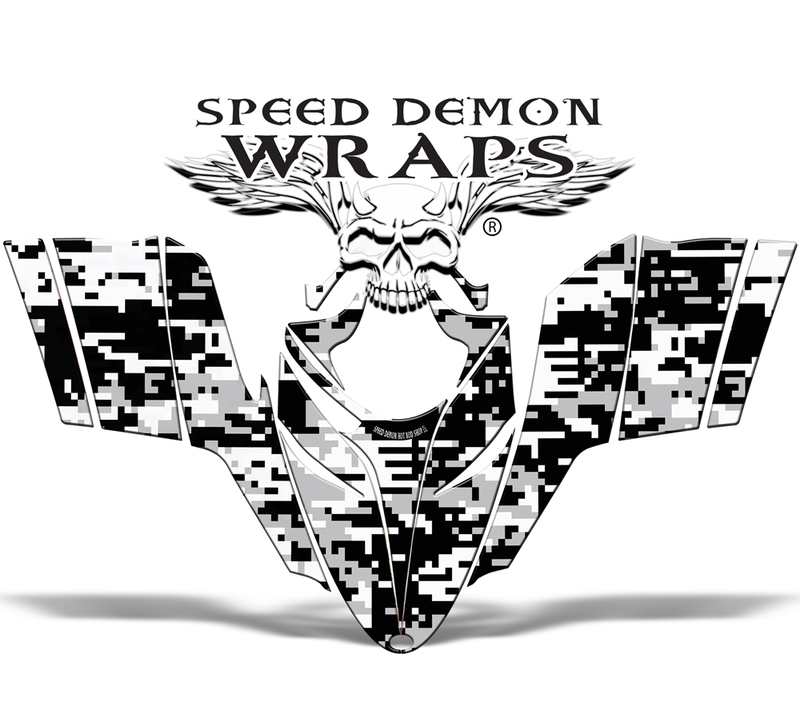 Thicker Vinyl + Stickier then Snot Adhesive = Speed Demon Sled Wraps that will last for many seasons. 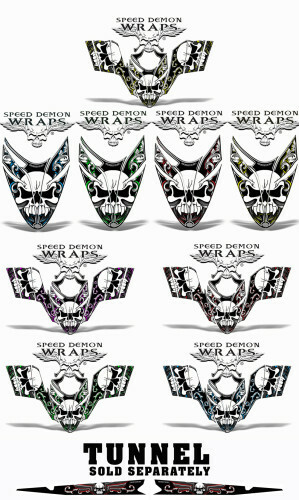 Our sled wraps have a high-bond adhesive that will keep your Polaris sled burning hot in the coldest of temperatures! American Made – All of our snowmobile wraps are designed, printed, laminated, cut, and installed from our shop based in Northern Idaho. 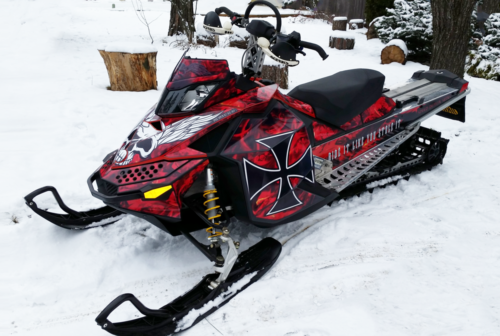 We do snowmobile and sled wrap installations for the Couer d’Alene, Hayden, Post Falls and Spokane areas.